Addiction dog food, like so many success stories in business, was founded by someone who saw a problem. A holistic veterinarian in New Zealand started to become convinced that the great number of animals he saw with skin and gastrointestinal conditions had been acquiring these conditions through a poor diet. In particular, this clinical nutritionist became convinced that the culprits were artificial additives and preservatives. After seeing that few others were trying to find a solution to the skin and gastrointestinal conditions, the creator of Addiction dog food decided to take the problem solving upon himself. Growing gradually frustrated by the endless generic brands that were subpar, and quality brands that still used large amounts of synthetic stabilizers, he decided to start his own company. By creating his own company, the founder was able to not only test and prove his theory, but distribute a dog food that will benefit dogs and their owners. Addiction is the result of a mission to remove the fillers, by-products, additives and preservatives and create an ultra-premium dog food. A lot of research also went into alternative sources of protein with a view to preventing allergies. It seems sensible today with the acceptance of the organic food revolution, but twenty years ago it was not even on the radar of most dog owners or even veterinarians. Foods were not yet the target of blame for health problems, and certainly not in the area of dog health. Not just happy with changing the protein, fat and carbohydrate ratios to be more favorable to the health of the dog and not the cost of the food, Addiction went further. They looked at what these individual base components are made of and went a different route. 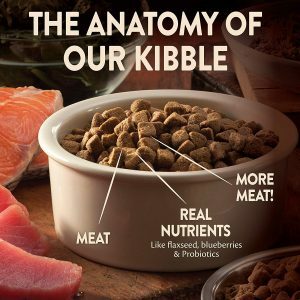 The creator saw a problem with traditional dog food being too full of fillers and by products, potentially causing detrimental side effects in pups. To create the opposite effect, the creator used the opposite ingredients. The dog food ingredients were inspected, studied, and researched into how the components of the foods interact on their own, and with additives. The resulting combination is used in the food to create a balance of healthy and fresh ingredients. 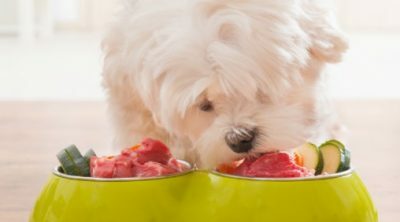 Studies have shown how grain carbohydrates interact with meat, and specifically which combinations are more likely to cause an adverse effect on the dog. These balances between carbs and meat and how the components of each food match up during digestion are as important in pre-made dog food as the dog cannot pick and chose which part of his meal may be causing him or her harm. Dogs do not have the capability to determine which foods make their bellies ache, which combination of food causes stomach upset, and which type of meat works best with their breed. As the dog owner, you must determine the food and vitamin compounds your particular dog needs to maintain health. 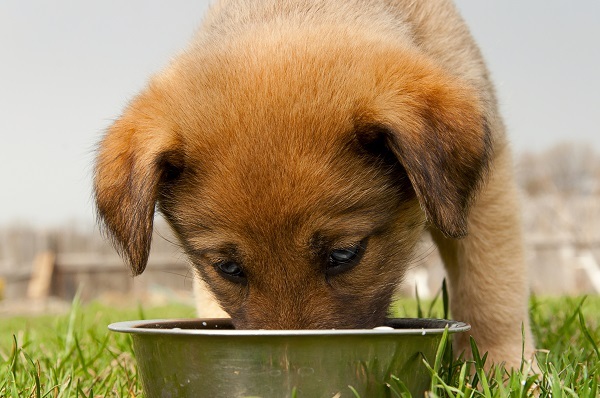 Determining which food works best for your dog does not have to be difficult. Addiction dog food has already completed the studies and applied the research to maintain a mixture of food that will benefit your dog. You may also research foods, ingredients, and additives on your own to determine which foods you will allow your dog. Speaking with your vet and developing a healthy diet plan may also be done to ensure the nutritional needs of your dog are being met. The company puts a special emphasis on where and how the protein component of the food is sourced. As dogs are carnivores they should get the majority of their diet from meat. Dogs have evolved from wolves and other wild dog breeds, and their digestive systems are basically the same as their common ancestors. But all meats are not the same, and as hunters at heart, it is unsurprising that they found that dogs prefer the gamey meats such as venison and bison. A diet of a dog should remain as true to nature as possible, utilizing their natural skills, tastes, and digestive abilities when creating a food designed especially for their health. Wild meats that are ‘gamey’ contain a great amount of the minerals and nutrients that predators such as dogs need. These meats also have the benefit of being hypoallergenic and easier for your buddy to digest. This is good news for all as they will be happier passing their stool and you will be much happier picking it up. Instead of using the usual fillers that are so ubiquitous in the dry food market, they looked for an alternative. The majority of fillers are corn by-products and the over farming of corn, particularly in the United States and its associated problems, are well documented. We do not need to go into the problems surrounding corn production now but a few clicks of your mouse will give you all the information you need. Staying away from corn and other fillers was the goal during the creation of Addiction dog food, and in doing so, the food is a much healthier version than other comparable brands. In turn, the company is benefitting the environment by producing and wasting less corn. The byproducts of the mass production of corn and fillers have also been eliminated, furthering the greener footprint a dog food company can lead by. Happily, the alternative is as healthy as it seems obvious. Vegetables, fruits, herbs, nuts and seeds not only provide a natural organic source of vitamins and minerals, but they add a variation in flavor and texture. Providing a more interesting meal is important, we gain a lot of the satisfaction in our daily lives from eating. Why should your dog not see meal time not just a way of curing hunger but also something to be enjoyed? The results from the first trials of the new food were overwhelmingly positive. The trial subjects were soon refusing their normal food and demanding more of the new, hence the name addiction was born. Dogs tend to have an instinctual behavior for eating food that is good for them. Dogs avoid food that is poisonous or potentially dangerous. Dogs that have begun to enjoy foods that are fresh will feel better and enjoy their food more than dogs without the fresh food exposure. When a pup has experienced fresh food for a few days, s/he may have the ability to understand the preference for the new food, thereby rejecting the old food. Good dog food is one that has pure meats listed as the top ingredients. 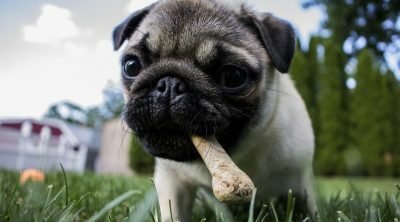 Carnivorous dogs with the ability to chew and digest require meat, and the protein from the meat source, in order to survive. 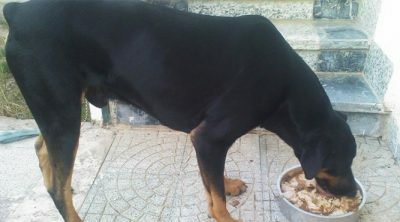 Dogs that do not have the ability to chew, or have gastrointestinal issues, require protein supplements to augment the lack of meat in their diet. Meat is such an important factor in diet for your dog, that without meat, your dog may begin to ‘hunt’ and crave meat sources when their protein levels become too low. Dogs are pre-programmed to hunt and kill their food; even domesticated dogs will have this urge if their protein and animal sourced food needs are not being met. To keep wild and domesticated dogs fed, there needs to be plenty of food sources available. This can be difficult when meat sources are live animals. In the wild, a dog is not particular and will eat any animal that crosses a dog’s path or looks to be available. In the event an animal is not available, a dog may move to eat vegetation in lieu of meat, but only for a short time. Given that meat sources need to be in high supply not just for wild dogs, but for domesticated dogs as well, sustainability is very important. To ensure animal sustainability, meats used in dog foods needs to be from animals that reproduce. The reproduction of animals is best done in a free range and humane manner, both with organic food and clean water. In the case of Addiction brand foods, these tasks are taken on and adhered to with great pride. The animal meat and byproduct used in these dog foods are treated humanely, and are fed a clean diet. Addiction food creators understand that a healthy animal used for meat will create a healthy food used for dogs. The high quality meats that form the basis of the protein come from such sources as free-range venison, salmon, kangaroo and brushtail. The advantage of these meats is that having not come into contact with the animal that will eventually eat it, it is more likely to be hypoallergenic. These meats are farmed and harvested in an eco-sustainable manner. Addiction is proud of its pioneering attitude and works in a manner that is not just eco-friendly but actively helps the environment. The harvesting of kangaroos and brushtails is a good example; these are agricultural pests whose population has exploded in Australia in recent years. Recent studies have shown dogs and cats have been offered healthier meat based diets on par with the diet of a human in recent years. While this is good news for cats and dogs, this is not good for humans because we now have plenty of competition for meat. In an effort to supply meat to more people and animals internationally, many countries have begun utilizing ‘other’ meat sources outside of the traditional red meat, chicken and fish. Rabbits and kangaroos have been targeted as good protein sources from meat. With the average person increasing their meat intake by 4% over the next few years, pets are expected to increase their meat supply as well. To keep up with demand, suppliers will need to find alternative sources to traditional meats. So the benefits to eating Addiction food brands seem to be many. Besides overall health, the food is better for the environment and uses fresh ingredients. There are also many choices within the brand. Each choice of food flavor is derived from a sustainable meat source which is an animal that was bred, raised, and killed in a humane manner. All of these factors combine to offer the dog owner an environmentally conscious food that is good for the dog and clear for the buyer’s conscience. Wishbone Lake is a duck based meal with a lot of fruit while Wishbone Ocean is suited to sensitive dogs and features mainly salmon. Salmon Bleu and Viva La Venison speak for themselves and Wishbone Pasture goes extremely local with New Zealand lamb. An added bonus to the dry food in Addicition is the probiotic benefit. Adding the probiotic to the dog food will help aid in the digestive system health of your dog. A healthy digestive system releases waste and byproducts easily, which in turn prevents disease, cancers, and other sicknesses. Probiotics also boost the good bacteria count in the belly of your dog, thereby raising metabolism, energy levels, and blood count levels. The immune system will benefit as well, having the ability to ward off sickness and prevent further evolution of a germ invader. The company also features a canned line of food with descriptions such as Unagi & Seaweed Entree and Herbed Duck Confit & Sweet Potatoes; you may well have to type out a menu for your dog and offer different types of bottled water. The types of foods offered by this company sound very similar to the types of meals you may eat at a high end restaurant. This is not by accident! Dogs should enjoy good, quality food just as their owners. 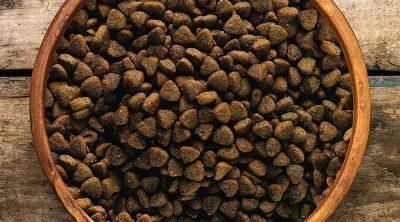 All in all, this is dog food of the highest quality, no corners are cut and the attention to detail comes from a wish to see a healthier, happier pet. As a dog owner you cannot really ask more than that. Many consumer reviews highlight the pleasure dog owners have found within this food. 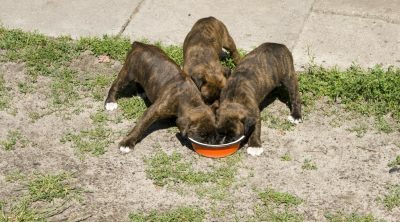 Dog owners have rated the majority of Addiction dog food flavors as either 9 or 10 with glowing praise for the products. The third ingredient of Addiction food is Chicken Fat. Not our first choice of food as a human, but dogs benefit from this fat. Chicken fat helps maintain your dog’s skin and fur due to the amount of Omega 3 acids. The fourth ingredient is peas! Peas have B vitamins, potassium, as well as many other beneficial nutrients. Peas are also a good source of protein. Addiction food products had their first food recall in the year of 2016. The food brand was created in 2002, and there has not been a single recall during this time period. The food is sourced from whole foods, does not use preservatives, and is of good quality. These factors make Addiction brand food one that is less likely to have harmful chemicals and additives that require a recall. In September 2016, Addiction had its very first recall. Addiction held a voluntary recall of a small amount of the wet food flavors New Zealand Brushtail and Vegetable, and the New Zealand Venison and Apple foods due to possible high levels of Vitamin A. Recalls from Addiction brand food are usually because of too much of a particular vitamin, rather than a poisonous or concerning chemical in the food. Addiction recalls are generally not harmful to your pet or deadly in any way. The recalls are voluntary and for the reasoning of not overexposing dogs to a vitamin. When choosing Addiction brand dog food, you can be sure you will not be feeding your treasured pet a potentially harmful substance at risk of being recalled. The ingredients in Addiction are not the same used in other dog foods, or in dog foods made internationally. These foods are ones in which to be weary of-due to their high recall and fatality rates. 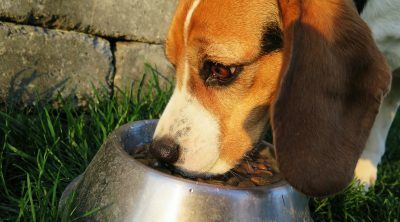 Rest assured with Addiction that your dog will not be a victim of poisoned food.